Michael A. Copland is currently assistant professor of Educational Leadership and Policy Studies in the College of Education at the University of Washington (UW). His previous roles include classroom teacher, assistant principal, and principal, all in middle schools in Washington state. Dr. Copland has extensive experience with the preparation and professional development of prospective and practicing school and district leaders. Currently, he is teaching and developing curriculum roles for the Danforth Educational Leadership program at UW, the Center for Educational Leadership at UW, and the UW Leadership for Learning Ed. D. program. Prior to his current duties, Dr. Copland was the director of the Prospective Principals Program at Stanford University. His research interests include issues related to the preparation and professional development of school and district leaders, learning-focused leadership in school and district reform, transformation of comprehensive high schools, and distributed leadership in the context of whole school reform. Dr. Copland's recent publications include pieces in Phi Delta Kappan, Journal of School Leadership, Educational Evaluation and Policy Analysis, and Educational Administration Quarterly. Michael S. Knapp is currently a professor of Educational Leadership and Policy Studies and director of the Center for the Study of Teaching and Policy, in the College of Education at the University of Washington (UW). His work as a practitioner includes classroom teaching, work in a junior high school guidance department, curriculum development with the Education Development Center, teacher and administrator training both domestically and abroad, and administrative work in the central office of a multicampus community college district. In recent years, he has been heavily involved in the preparation of educational leaders who aspire to roles in districts, regional entities, and state agencies. As a scholar, Dr. Knapp's research focuses on educational leadership, the implementation of state and federal educational improvement policies, school reform, leadership preparation, and policy research methods, with particular emphasis on how policy and leadership connect to classroom and school improvement. His studies have often concentrated on the education of disenfranchised populations, mathematics and science education, and the professional development of educators. 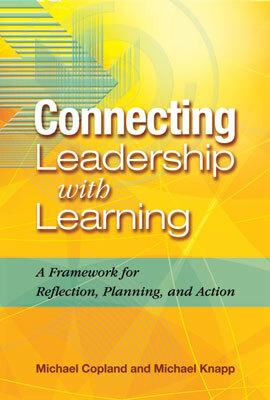 Dr. Knapp has written extensively about his research in five books, which are Teaching for Meaning in High-Poverty Classrooms (Teachers College Press, 1995), Pathways to Partnership: University and Community as Learners in Interprofessional Education (Rowman & Littlefield, 1998), School Districts and Instructional Renewal (Teachers College Press, 2002), Investigating the Influence of Standards (National Academy Press, 2002), and Self-Reflective Renewal in Schools (Greenwood Press, 2003).